Second hand clothes and blankets have been rolled to a seat. 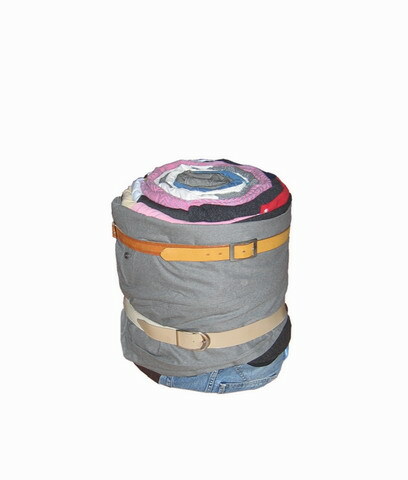 On request, a seat is rolled onto the desired length, hight and diameter for each individual customer. 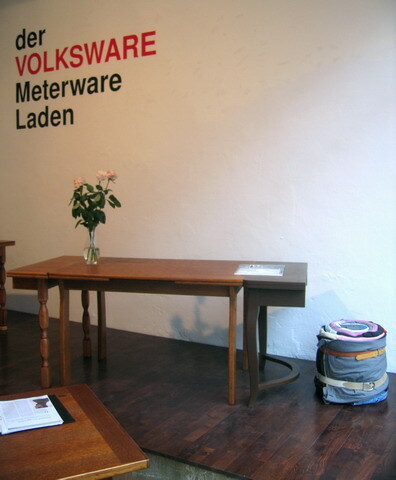 The seat is a good of the project “the VOLKSWARE Meterware shop”.